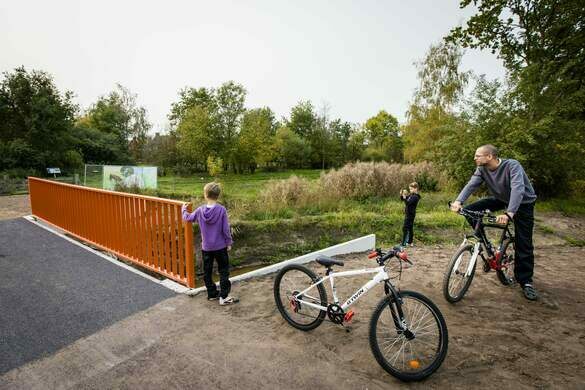 In the Dutch town of Gemert you’ll find a small orange bike bridge spanning about 26 feet over a canal. The unassuming concrete structure is fairly standard, but deep in its carefully layered core, it knows it’s something special. This small bridge over the Peelse Loop canal happens to be one of the first ever to be 3D-printed out of reinforced concrete. 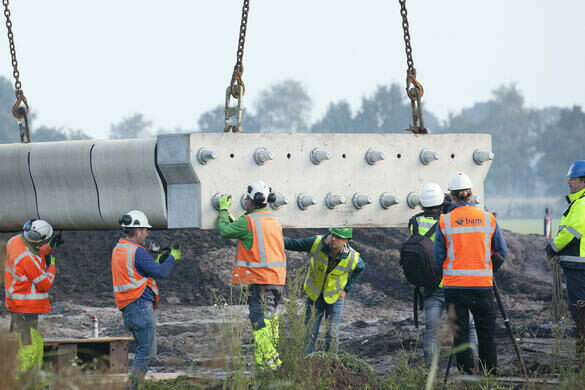 The bridge, which opened in October, 2017, was created at the Eindhoven University of Technology, in conjunction with BAM Infra construction company. It involved printing about 800 layers of the concrete material, which was both reinforced and pre-stressed. This building strategy has one main advantage over standard mold-based techniques: it uses far less concrete, which saves resources. With the success of the Germet bridge, the researchers now plan to build even larger 3D-printed structures. 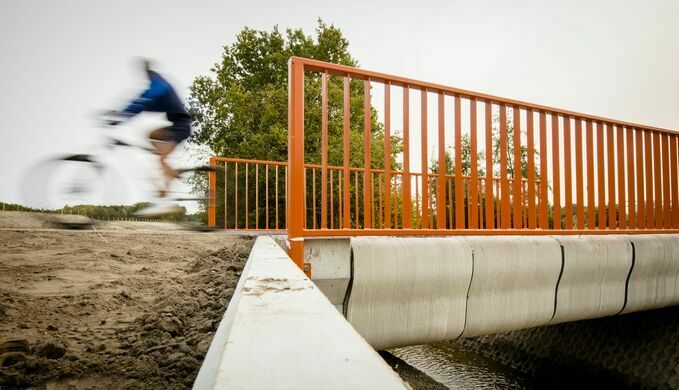 The bridge’s designers say it can support up to 2.2 tons of weight, although it is meant to be used by bikers and pedestrians. In a country where there are more bikes than people, it’s expected hundreds of cyclists will ride over the bridge each day.